With a sporty yet comfortable ride, loads of technology and rear- or all-wheel-drive, the 2012 Infiniti G proves it can run with the best in its class. That it can do so at a lower cost than competitors in the entry-level luxury segment is just icing on the cake. I really like the car. It handles very well and is comfortable. Only issue I have is the gas mileage is not as much as I'd like to be. Very low maintenance on it. Tires are still good. Just had the brakes replaced after 3 years. Plenty of room for small sedan. The color is a pearl white which is very fashionable. The design of the car is excellent. Respond very well to acceleration. It is not as high end as people think. It is a high priced Nissan. My 2012 Infiniti drives smooth. It feels like I am hugging the road. I like that it is low to the ground. I don't really have any complaints about the make of the car. My only complaint is the tint is peeling prematurely but that has nothing to do with the actual vehicle itself. Scale of 1-10. 1 being poor 10 being amazing I choose 10. 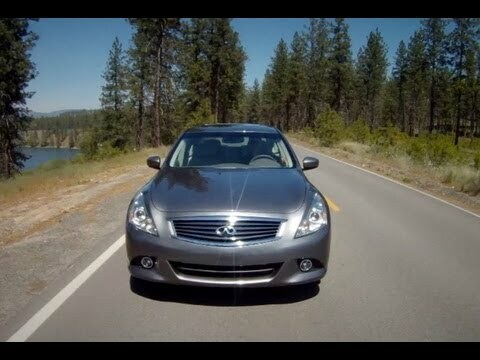 Best car maker in the market is Infiniti. Great overall performance. Long lasting with mileage and maintenance is not a problem at all. I would purchase this car again in a few years due to its great investment. Nissan is the main maker of this luxury cars. They are affordable maker and cater to all buyers in the market. The appearance is outstanding among other competitors.